Nancy Cavanaugh is a pediatric nurse practitioner who practices at La Clinica’s school-based health centers, including at Crater High School. 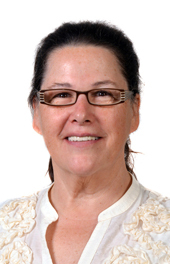 She is a graduate of the University of Virginia pediatric nurse practitioner program and has had a long career in pediatrics and teaching, including at Seattle Children’s Hospital, as an Alaska public health nurse, as a high school science and health teacher, and in a high school-based health center in Alaska. When her husband retired from the U.S. Public Health Service in June 2011 they briefly moved to Pasadena, California, to be near granddaughters but quickly discovered that the joy of being close to the grandchildren did not outweigh the anxiety of driving in LA traffic! Hence the move to Central Point and the amazing opportunity to be part of the La Clinica school-based health care program. In her spare time Nancy volunteers with the Britt Festivals and with Central Point’s Community Emergency Response Team. She is enjoying life in the valley and especially seeing sunshine again!